*What it is: A hydrating treatment set that addresses multiple concerns around the eyes. dark circles and puffiness around the eyes. 1) Use eye serum after cleanse and tone. Take adequate amount, dab around eye rim, massage in circular motion to absorb. 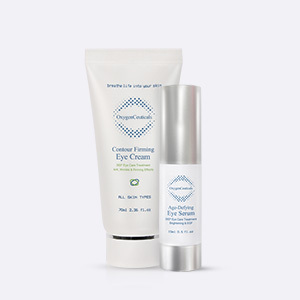 2) After eye serum, take adequate amount of eye cream, using ring finger, gently pat the cream around the eye area.